On Saturday, December 12, PAWS of CNY held its second Barnes & Noble Bookfair fundraiser in Clay, New York. Representatives from PAWS of CNY were in the store with their therapy pets for the day to meet with customers and answer questions about the benefits of pet therapy. 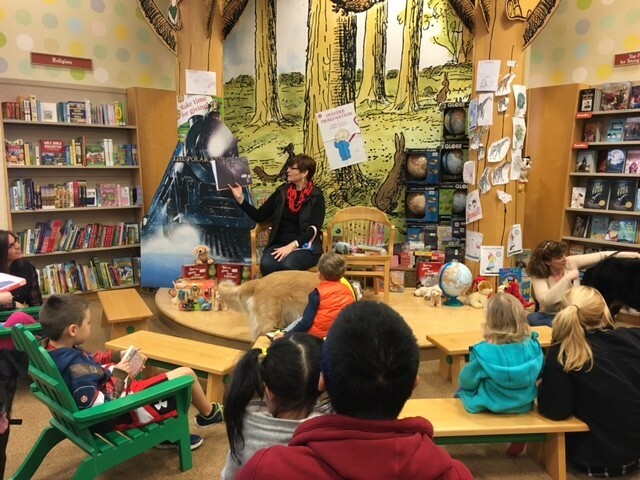 Volunteers also gift-wrapped in store purchases for Barnes & Noble customers, and at 11:00 a.m. volunteers from PAWS of CNY had an opportunity to read storybooks to children present in the store. Children were able to sit among PAWS of CNY’s therapy pets and listen to storybooks while enjoying some furry companionship. A percentage of sales for the day were donated to PAWS of CNY. Our local college students work so hard throughout the semester, that it is our privilege to help them de-stress and enjoy some well-deserved pet therapy. On Monday, November 30, volunteers from PAWS of CNY attended a de-stress event for students at the State University of New York at Oswego. PAWS of CNY volunteer Dianne Restuccio attended the event with her golden retriever and therapy dog, Enzo. In addition to our love of providing pet therapy services, PAWS of CNY loves educating students and members of the community on the benefits of pet assisted wellness services. On Monday, November 30, Susan Vaughn and her labrador mix, Bert, had an opportunity to attend a student presentation at SUNY Oswego on the benefits of pet therapy. Vaughn and Bert presented a real-life example of a pet therapy team and shared their experiences volunteering at nursing homes as well as at college student de-stress events. Think your dog has what it takes to be a therapy dog? Wondering if you could both benefit from a few training courses so that you ace the evaluation test? 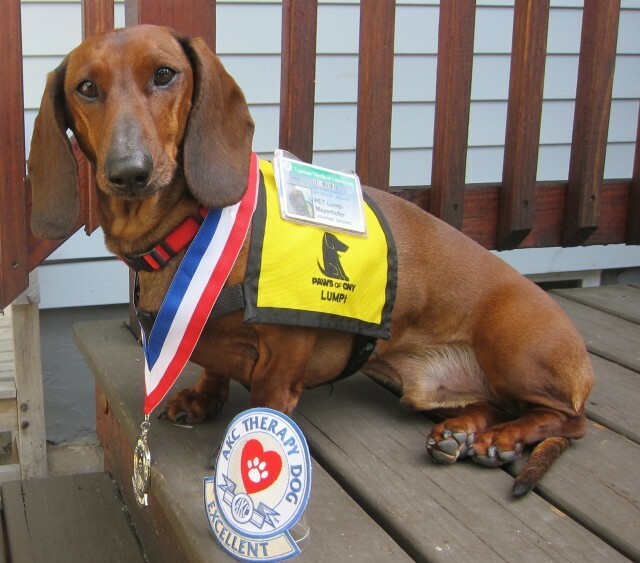 Our Therapy Dog Training Course registration is now open! PAWS of CNY was pleased to again participate in the Elmcrest “Take a Break for Wellness” event. The annual event aims to encourage teachers and staff members at Elmcrest Children’s Center to learn about wellness-based organizations in the community. Elmcrest Children’s Center is a multi-service treatment and education center for children with emotional and behavioral needs. PAWS of CNY’s therapy dog teams have been visiting with students at Elmcrest for the past several years. PAWS of CNY volunteer Hilary Gamble attended this year’s wellness fair with her Labrador, Preston.